You don't exactly need a full-blown hiking boot for traipsing around Squamish's boulders, but something a little burly won't hurt when those surprise storms roll overhead. 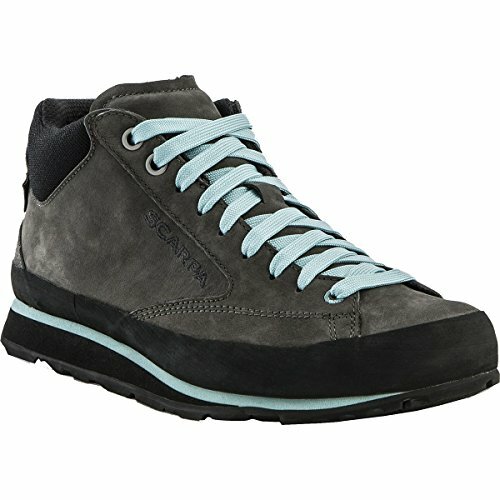 The Scarpa Women's Conifer GTX Shoe has a waterproof, breathable insert underneath its sleek, casual nubuck leather upper, which is ruggedly abrasion-resistant because even the most casual climber lives a pretty rugged lifestyle. The Vibram Globe Grip rubber sole has a layer of microporous EVA above it to give you plenty of cush and traction if you decide to take a stroll up the Chief one rainy day.